sent to clients 13 Oct…. updates yet to be posted …. Unpopular Bill on its way to final vote…. After some marathon debates in the Portfolio Committee on Trade and Industry, Parliament put aside the newly named Protection of Investment Bill (previously the Promotion and Protection of Investment Bill) until after the recent winter recess for members to consider two important substitution clauses suggested by an Opposition member. The Trade and Industry Department (DTI) was represented throughout the two days of clause by clause debate by director-general, Lionel October; Mustaqeem De Gama: DTI Legal Director: International Trade and Investment (ITED) and Counsellor to the WTO; with Ms. Phumelele Ngema: Parliamentary Legal Advisor. This followed earlier hearings which included many submissions from business, industry and institutions such as the Institute of Race Relations. Bearing in mind that a full back-up team from DTI was also present for the first clause-by-clause debate, including Ms. Xolelwa Mlumbi-Peter: DTI Acting Deputy Director General: ITED who promoted the Bill from DTI, it could said that DTI fielded their full team on the issue with a full bench of reserves and consequently had taken all submissions during the Bill’s hearings a week before in a serious light. Main objections to the Bill had come in the areas in the definition of investment; fair and equitable treatment of both local and international investors on equal terms; the definitions of “property” in the case of expropriation and disputes, particularly the issue of arbitration and the locale and parties involved in such determinations. there appeared to be differences in standards of fair and equitable treatment for international investors; many disliked the omission of a favoured nation clauses; lack of reference in the Bill to exactly what was meant by expropriation; and the fact that DTI in the form of the Minister had express rights to regulate in the public interest and in dispute resolution remedies. The fact that the Minister “may” allow cases to be referred to international arbitration was, by some, expressed as an objectionable approach to international business relations. In the first meeting to provide responses to submissions received, Lionel October assuring members that DTI had no intention to act in a manner that reduced investment flows into South Africa. He said government had a duty to regulate in the public interest and needed the political space to do so. He insisted that any dispute resolution is to be limited at first to domestic remedies with the option, now, of state-to-state arbitration once domestic remedies had been exhausted. Mustaqeem De Gama, in agreeing to the point that the title of the Bill should be changed to “The Protection of Investment Bill” in the light of the argument that there was little in the way of Promotion, said that he wished to assure all that the phrase regarding “use of available resources” in the clauses on security of investment as only referring to physical security and policing. It was agreed that the state must provide this type of security on an investment. Wording would apply as such. 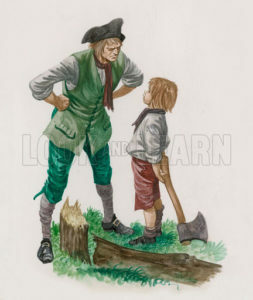 It was also agreed that the word “dispute” would not be defined as such in the Bill allowing a court to fall back to the normal dictionary definition of the term. On the right of international enterprises to invest and the restrictive clauses in this respect referred to under Clause 6 as the “ Right of Establishment’”, De Gama said the clause does not seek to deal with or create a right of establishment up front but only sought to require that an investment be established in accordance with domestic laws. He claimed that any state had an inherent right to regulate who does and does not “establish” in their territory. Opposition members said that wording as such was another investment barrier and Dean Mcpherson (DA) pointed to the Regulation of Land Holdings Bill where it is proposed that no foreign person may own agricultural land. He felt that South Africa should not be limiting investment but rather welcoming all investment of whatever kind in order to grow the economy. He was wary of specifying who can and cannot invest in South Africa, particularly in the light of other Bills now being processed by Parliament. DTI responded with the view that “no investors have ever been so bold as to attempt to exempt themselves from following domestic law”. De Gama continued that international law gives any state the right to regulate the access of foreigners to their land. “If the investment negatively impacts the economy, the state should have a right to take action to mitigate these negative effects through various policy spaces”, de Gama concluded. If expropriation is ever necessary in an extreme case, the Constitution requires just compensation be paid and that was clearly stated in the Constitution, DTI pointed out. Opposition members complained that the exact definition of expropriation per se “in terms of the laws of the country” was still being debated in another Bill, the Expropriation Bill, currently before the Portfolio Committee on Public Works. The chairperson, Joanna Fubbs, refused to allow debate on the subject to continue on the basis that “this definition was the responsibility of another department”. DA member, Geordan Hill Davies, complained that Committee was “just side stepping the issue insofar as The Protection of Investment Bill was concerned” and the apparent avoidance in “debating this issue in this forum just added to the uncertainty of South Africa’s intentions”. Also under the microscope was the issue raised during a submission from American Chamber of Commerce in SA and others during hearings that any form of iron clad promise of fair and equitable treatment of investments by foreign companies was not evident in the Bill. In this regard, Lionel October argued that this could not possibly be the case as South Africa needed investment and the Bill was designed to protect such. However, the phrase “subject to national legislation” could not be deleted as a matter of state policy and the expression at the outset of the Bill of “in like circumstances” also had to stay in view that “national treatment” was necessary to avoid ambiguity, as previously stated. Lionel October argued that the SA government would be applying “national treatment” in line with WTO practice. The DTI had never discriminated based on place of origin, he said. The only reason for the ‘like circumstances’ clause in the Bill before them was because, for example, “minor abuses of black empowerment policies”, such policies and others being specific to South Africa, he said. He said a dispensation had been granted on the issue that international arbitration was only to be allowed at the Minister’s discretion after all domestic legal avenues had been exhausted and to allow state-to-state arbitration to take place. Opposition members argued that in some cases in the world of modern investment this was both an impractical and unenforceable suggestion. Geordin Hill-Lewis said this whole section was the crux of the Bill’s weakness in encouraging investment. He felt that the essence was that foreign investors wanted be treated in like manner to domestic investors and the wording of the Bill still implied, or gave the impression, that SA would treat foreign investors less favourably. In addition, SA could legislate in the future to the further disadvantage of foreign investors. “There was no certainty in the wording at present”, he said. Geordin Hill-Lewis produced two amending clauses, one on “Standards of Treatment” (to be inserted after Clause 7 to become Clause 8) and a further on “Legal Protection of Investments” (to replace Clause 9 which would become Clause 10 because of the above addition). These had been prepared overnight by the DA’s legal advisors. DTI and all members were asked to study these two clauses during the two week recess when the Bill would be finally concluded. The Chairperson noted that this issue was not closed. DTI confirmed that they would study the recommended changes. In addition, seven issues within the Bill were carried over for further discussion before the Bill could be recommended to go forward until after the recess. The hearings conducted before the debate included submissions from Anglo-American, SA Institute of Race Relations, Banking Association of SA, The Mandela Institute of Wits University, NUMSA, the EU-SA Chamber of Commerce and the American Chamber of Commerce in SA. All expressed disquiet to varying degrees on the Bill as originally proposed. Plan not easy to work, says October…..
Lionel October, acting DG, department of trade and industry (DTI) admitted to Parliament the Manufacturing Competitiveness Enhancement Programme (MCEP) had been a difficult programme to run. Over eight hundred applications with a grant value of R5.1bn had been agreed upon but only R1.5bn disbursed. However by 2018, he said, DTI would have allocated all R7.4 billion and the amount granted One of the major problems faced, October said, was brought about by the confusion in the minds of many on the nature of the MCEP. A good number of applicants had tried to apply as if their applications were for a social grant, which was certainly not the case. MCEP was a short term stimulating package designed for already successful manufacturing companies to assist them during current global and difficult times. Addressing Joan Fubbs of the trade and industry portfolio committee, DG October told parliamentarians that national treasury had been approached for funds in 2012 to revive the manufacturing sector for a period of six years. R7.4bn in the end was provided. One year later, trade and industry minister Dr Rob Davies reported that R3bn MCEP approvals had been made, which would support industrial investments by 436 applicants and this would a sustain more than 116 000 manufacturing jobs. The MCEP was conceptualised as a result of the one-million jobs shed during the 2009 recession, he said, and which had badly hurt the nation’s finances. Minister Davies described at the time how the MCEP incentive programme was a critical element of DTI’s Industrial Policy Action Plan (IPAP) designed to stem the sudden loss of the manufacturing sector’s contribution to GDP. The MCEP was not designed to assist new companies but support existing ones with the potential either of recovering from an earlier troubling status or developing new markets, Davies insisted. Ms Susan Mangole, COO at DTI, explained to parliamentarians at the recent meeting that the department maintained a “pay-out system” where, after initial approval, the incentive money was only paid once the agreed plan was up and running and jobs had been retained. There was accordingly a time lag between approving a grant and receiving the funds in reward. The time lag could be up two years before fruition of the project was apparent. The programme, she told parliamentarians was now two and a half years old and, after a slow start, the applications “became a flood”. Currently, DTI had already committed well over half of the total package. DTI focused on two components with MCEP, Ms Mangole said. Firstly, through production incentives as described and then with industrial financing loan facilities through Industrial Development Corporation, who had been given R1bn from the fund by DTI. Any company could only qualify if it had level 4 B-BBEE status or could achieve the status within two years. Lionel October concluded that DTI had been instructed (presumably by treasury) that by the end 2016 it should entertain no more applications and only deal with those already filed. By 2018, he said, DTI would have allocated all R7.4 billion and the amount granted had now been rationalised to a maximum of R30m, although it had started at R50m. Some DA opposition members complained that it was absurd to exclude companies because of their current B-BBEE status when the idea was to create more jobs. DG October stated that this was a “must” in applying, since it was a fact that all companies had to comply with BEE and labour laws. But, he said, most larger companies did in fact comply and the focus of DTI remained revitalising such sectors as agro-processing sector, where most imports of machinery occurred. “So the problem is not on the supply side but on the demand side”, he said and added that the agro-processing industry in South Africa was experiencing a massive turnaround with exports probably reach double digits of a percentage towards GDP. The DA complained about poor communication between DTI and applicants saying that a year could elapse without even hearing an acknowledgment of an application. 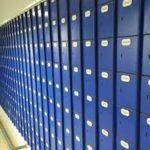 There was, the member said, without any doubt an enormous backlog of applications and delays in correspondence on those that were in process. He complained that DTI was very inefficient in its customer/client care relationships. G Hill-Lewis (DA) agreed and said that it was nearly impossible to “get anybody on the ‘phone at DTI, let alone the person dealing with MCEP issues”. Ms Mangole confirmed that DTI was working towards improving its response system but that DTI had informed its clients and stakeholders that there would be delays because the system was under strain and that it would be difficult to honour the claims within reasonable times. In subsequent presentations DTI showed a shortage of 271 posts of qualified persons. On the subject of which industries were getting the most grants, Lionel October said those businesses, such as in the automotive and textile industries that had access to other schemes, were excluded by default. He thought now that the DTI might move to strategic sectors but in any case, in the final play out, it was the manufacturers who succeeded with good proposals who would determine where the market for incentives was. He stressed that the programme was aimed at retaining and sustaining jobs but not creating jobs. He admitted that as DTI did not make labour law, compliance in this respect was of low priority in considering factors for approval of an application. Acting DG Lionel October agreed to some extent with opposition members that the issue of complying with labour laws was indeed a matter for labour inspectors. Meanwhile, he said the main focus was on revitalising the companies involved. The final Broad-Based Black Economic Empowerment (B-BBEE) Codes of Good Practice have been published. Companies will be granted a one-year transitional period to align with and prepare for the implementation of the revised Codes. The codes set the minimum requirement for ownership at 40% of net value, with skills development accounting for 40% of the total weighting points, and enterprise and supplier development required a sub-minimum requirement of 40% within each enterprise and supplier development element, namely preferential procurement, supplier development and enterprise development. On the new enterprise and supplier development enterprises totalling 40 points, 23 points are required as black ownership majority. Procurement is down to 12 points, of which only five points relate to all suppliers with black economic empowerment credentials, three points to qualifying small enterprise suppliers and four points for exempt microenterprises with a 15% target each. Fracking for shale gas is under serious consideration by the minister involved and the department of energy, Deputy President Kgalema Motlanthe told Parliament recently, giving his reasons to parliamentarians for this statement as resulting from a cabinet discussion on economic imperatives, the need to create jobs and advance growth. 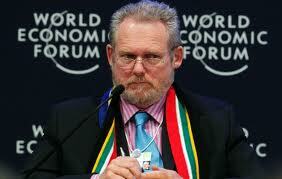 Minister of trade and industry, Rob Davies, also weighed in on the subject with a comment a few days later. He also said that the cabinet had discussed the issue recently and they had concluded that the country could not rely just on a tentative upturn in the United States and Europe to help local growth and job creation but must commence its own initiatives. Davies said Cabinet believed shale gas could be a vital component in South Africa’s quest for energy security, but at this stage the potential extent of local reserves remained unknown. “It is our intention to move before the end of this administration”, meaning before mid-November when Parliament closes. 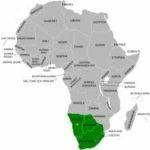 He said that also Mossgas has a resource of about one trillion cubic metres of gas, Mozambique having about an estimated hundred trillion cubic metres with some estimates that the shale gas deposits in South Africa are far bigger. “If this was the case, this whole question could be a very, very significant game changer in terms of the energy situation in South Africa”, he said. He mentioned that in an overall picture, the main constraint to growth that requires immediate attention was the energy situation. He said that discussions now were at senior government level. The department of trade and industry is not blaming SACU members for signing EU trade agreements despite SA protests, since in reality “a gun had been held to their heads” and, as small countries, they had been presented with little choice but to sign. This was said by Dr Rob Davies, minister of department of trade and industry (DTI), when advising the portfolio committee on trade and industry of a number of important decisions that were shortly to be made regarding the future of the South African Customs Union (SACU). Although the revenue generated from the SACU was significant for smaller economies within the union of South Africa, Botswana, Lesotho, Namibia and Swaziland (BLNS), a major decrease in customs revenue during the current global economic recession and “significant disagreements” amongst BLNS members, particularly over the EU trade agreements, had caused a slowing down of the development of new partnership agreements. Minister Davies said South Africa had proposed a 5-point plan. However, progress towards a satisfactory relationship between the parties “had been rather uneven”. , Whilst 50% of the revenue was shared between the partners other than South Africa and South Africa contributed as much as 98% towards revenue, tariffs were in one way or another set to benefit South African industry as the most industrialised country in the partnership. The other parties were sensitive to this, he said. A new SACU agreement had been put into force in 2004, he said and had served until now. A common external tariff was maintained under the agreement, which allowed for free trade within the SACU market. The 5-point plan for a future agreement, the result of a summit talks meeting, was to investigate whether customs revenue should go to industrial development projects; whether revenue be used to develop value chains from one country to another; how to prevent the proliferation in smuggling; the necessity to build a centralised secretariat to run the SACU and, finally, how to strengthen the engagement with foreign countries on trade matters. For South Africa, Dr Davies maintained the key aspect of any plan was to contribute in a way that gave financial certainty for BLNS members for financing of regional infrastructure plans and for industrial development projects. He maintained that if these countries grew, then South Africa would benefit from increased markets. He further added that little progress had been made “due to the lack of change in the financial flow of the revenue”, indicating that a key reason for lack of progress was because of divergences in policy perspective and policy priorities among members of the SACU. Looking ahead, the minister said differences were emerging as a result of clashing views on the role of tariffs since South Africa viewed tariffs as tools of industrial policy, while for other countries tariffs were mainly viewed as a source of revenue. “This is primarily an issue of the countries who view themselves as consumers rather than producers”, he said. Two core challenges remained unresolved within the SACU, minister Davies told parliamentarians. First, was the development of common policies among countries that varied dramatically in terms of economic size and population, as well as levels of economic, legislative and institutional development. Secondly, there was a lack of an effective decision-making procedures within the general body that was able to take into account differences amongst the members. “As such, the next steps that South Africa took were vital to the process”, he said. Minister Davies said South Africa had now to re-assess how best to advance development and integration in SACU and then have an open discussion among SACU members. The development of a common approach to trade and industrial policy was the most urgent matter, he said, with a discussion on appropriate decision-making procedures on sensitive trade and industry matters. Parliamentarians asked whether, since this appeared an uphill battle, DTI should not rather instead concentrate on advancing the Southern African Development Community (SADC) but minister Davies said that whilst the SACU was indeed not the most important entity in the region, it was an important aspect in the broader goal of creating harmony in the region and better trading prospects. The main priority for regional integration, he said, was the creation of large regional markets that could serve industrial integration between countries and, meanwhile, the SACU issue had to be resolved along the way. As an integral part of the New Growth Plan, the Special Economic Zones (SEZ) Bill has tabled before Parliament by the trade and industry minister, Rob Davies. In April last year, the cabinet has approved the draft which provides for the designation, development, promotion, operation and management of SEZs, an important component of department of trade and industry”s (DTI) development policy within the New Growth Plan. This has been developed in conjunction the various economically linked government departments dealing with the concept of SEZs differing greatly but not entirely replacing past industrial development zone (IDZ) principles. • the suspension or withdrawal of a SEZ operator permit. 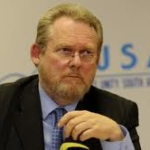 In addressing Parliament, minister Rob Davies said the policy and Bill had been drawn up to deal with the problems that had resulted from the earlier industrial IDZ incentive programme but which would now be consolidated into and under the proposed structure, both by filling in gaps and widening the scope of both geographically and economically. What will interest developers, he said, is that the Bill allows for the application of different types and improved incentives for developing industry and businesses. Once the board is established this will in fact activate the new SEZ programme and allow for co-ordination. A draft bill and a draft policy were gazetted separately for comment in January last year. Minister Davies has said that the IDZ programme would continue but would fall under the proposed SEZs and the aegis of new SEZ board. Cooperatives Bill will assist small business ventures….. The Cooperatives Amendment Bill, promoted by the minister of trade and industry, Dr Rob Davies and perceived by him as a critical legislation in the development of black business enterprises and rural development, has finally been approved by the National Assembly and no doubt will added to the statute book early in the New Year once concurrence is received by the NCOP. Cooperatives represent a key aspect of the department of trade and industry (DTI) contribution to the New Growth Plan and DTI sees the new law as a major contribution towards the creation of jobs, poverty alleviation and economic growth. Originally, two separate bills were tabled in parliament in May, one to deal with provincial issues known section 76 bill and the other as section 75 but eventually, for ease of legislative process and the necessity to speed up matters, a joint-tagging decisions saw both Bills combined as a result of a specialised committee report. The bill has seen extensive hearings from many parties; alterations as a result of experience in other countries and the learning processes of the cooperative movement so far in South Africa, black co-operatives being in their infancy and white farming co-operatives having contributed to growth in the more developed areas of agricultural sectors for many years. One of the primary aims of the legislation, the consolidated Bill states, is to create a co-operative agency to lead to a re-vitalised and more comprehensive co-operative movement in South Africa, establish a co-operatives tribunal to handle conflicts, disputes and to ensure compliance. A secondary objective of the agency would be to establish in the future and training academy and an co-operative advisory council to build the movement in field operations and development the potential of black emergent business. Currently, the department of trade and industry (DTI) has in place a 60-day period for comment on the revised broad-based black economic-empowerment (B-BBEE) codes of good practice, i.e. until 5 December 2012. He has also tabled a new Bill on B-BEE in Parliament immediatelt before the Christmas recess. With this in mind, Minister Davies said in a conference recently that BEE remained a vital cog in the development of South Africa, stating, “It is not just a social or political imperative . . . but an economic imperative as well”, he said. The current generic scorecard in the new proposals for comment is reduced from seven to five essential elements with a total of 105 points assigned to these five elements. All companies, except exempted micro enterprises, have to comply with all the elements of the scorecard as revised. The introduction of sub-minimum targets for the priority elements is contained in the proposals with the proviso that if such minimum compliance is not achieved, large companies will have their status reduced by two levels and smaller companies by one level. This was something that was considered as last resort when BEE charters were first envisaged. 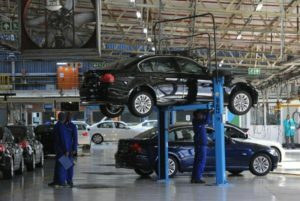 Despite having announced in a separate statement that DTI had been in meetings with vehicle manufacturers and that a target of 1.2m vehicles made in South Africa per year was the objective, he drew attention to the fact that the manufacturing sector as a whole was not “transformed”, by which it must be assumed he meant it had no B-BEEE charter. However, he saw great development in the automotive industry as far as small business was concerned. “We need to look at how we can make localisation a tool and once that happens, we need to look at how we can get black-owned companies much more active in this space,” Davies noted. DTI recently announced “an incubation support programme for small businesses to encourage private sector partnerships with government, whereby large companies assisted SMMEs, and even medium-sized undertakings, with skills and technology transfer. Cabinet has approved the Special Economic Zones (SEZ) Bill for subsequent tabling in Parliament which will provide for the designation, development, promotion, operation and management of SEZs, the subject of the new development policy within the New Growth Plan developed in conjunction the various economically linked government departments dealing with department of trade and industry (DTI), the minister Rob Davies introducing the Bill. The new Bill will allow for an appropriate board; a fund to develop SEZs and the ability to manage and implement programmes establishing and approving incentives for operators. It will also regulate the application and issuing of permits to developers wishing to operate a SEZ. In addressing Parliament in the last session, minister Rob Davies said the policy and Bill had been drawn up to deal with the problems that had resulted from the earlier industrial IDZ incentive programme but which would now be consolidated into and under the proposed structure, both by filling in gaps and widening the scope of both geographically and economically. More importantly, it allows for the application of different types and improved incentives for developing industry and businesses. By establishing an SEZ Board, the Bill will in fact activate the new SEZ programme and allow for co-ordination. 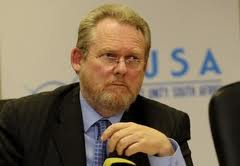 By gazette, Trade and Industry Minister Rob Davies has regulated for black empowerment in the property sector; the department of trade and industry (DTI) having published the Property Sector Code in terms of the Broad-Based Black Economic Empowerment (BBBEE) Act aimed at economic transformation and “meaningful participation of black people, including women, the youth and people with disabilities”. Minister Davies said in an accompanying statement as the gazette was published that the purpose was to “promote property development and investment in under-resourced areas, which enhances basic infrastructure, encourages investment and supports micro and small enterprises”. Having much in common with DTI’s generic BBBEE code, the Property Sector Code introduces an eighth element of the scorecard called “economic development”, which the minister said has two measurement categories. “The first one is the commitment by the entities that deal in property development to invest at least 10% of their yearly property development investments in under-resourced areas. This is a transformational infrastructure commitment with the purpose of stimulating investment in those areas, reducing service inequalities and to create economic opportunities in those areas,” the minister said. The second was the measurement of commitment by entities in the property sector to dispose of 35% of their assets to black-owned enterprises that had a BBBEE status of level 1 to level 3 in terms of the regulations, minister Davies said, meaning, as his statement added, that such “ were given the opportunity to own and trade in assets”. Also, a difference is apparent in that the threshold for exemption from compliance for estate agents had been reduced to R2.5m of yearly turnover and not R5m as laid down in the standard BBBEE code. The application of the Preferential Procurement Policy Framework Act (PPPFA) has resulted in a further move by trade and industry minister Dr Rob Davies regarding the state’s procurement of local products – in this case pharmaceuticals, stipulating that the list of goods (yet to be produced) which are relevant to purchases by govt. departments, agencies and state-owned enterprises. Davies stated that this move would be of specific benefit to the country both in terms of health and the economy and his list of some seventy products would be made available by the department of trade and industry (DTI) shortly. The PPPFA was amended last year by the DTI and approved by Parliament to allow for such moves and to stipulate certain sectors of industry and commerce to be controlled in such a manner. Regulations starting with canned vegetable products, commuter buses, clothing textiles and footwear are already in place. The minister stated that it was important for the state, working with the pharmaceutical industry, to contribute to South Africa’s balance of trade and at the same time make a serious attempt to ensure affordable healthcare to both the private and public sector. Prices would be “internationally bench marked” he said and government would still source certain supplies from importers where this was necessary. The list of products that were to apply to the gazetted regulations was compiled only after extensive investigation, he noted. Minister of trade and industry, Dr Rob Davies, told media and conference delegates in Cape Town, that South Africa had to focus first on consolidate on Southern African sub-Sahara free trade agreements before it tried to capitalize on the boom it might be experiencing in other areas of Africa. Giving this warning, minister Davies told delegates that South Africa had experienced a “growth spurt” which he said had been driven by a boom in the export of mineral commodities; an increase in the number infrastructure investments, coupled with further investment on existing projects. He said there had been improved economic governance in African countries generally. In an upbeat address, the normally taciturn Davies told the sixth Africa Economic Forum in Cape Town this week that in this context South Africa had seemingly in part weathered the international economic crisis. “We have realised for a long time that the African continent is inextricably linked to our own destiny”, he said and this boom, which may not last, “will have to be turned into commodities-driven growth with a serious effort to create value-added products”. Davies said that an initial tool to promote further regional trade was the Southern African Development Community (SADC) Free Trade Agreement (FTA), which would be fully implemented during the current year, allowing for over 90% duty-free trade between SADC countries. Building on the Free Trade Agreement (FTA) with the East African Community could be built on in time and ultimately extended to the entire African continent, he said. Davies went on to say that beneficiation of commodities, promoting agro-processing, and pharmaceutical production in a market place of extreme demand were obvious opportunities but he emphasised that the first priority lay nearer at home. He noted that initially South Africa had to consolidate the SADC FTA before SA moved more extensively into the rest of the continent.